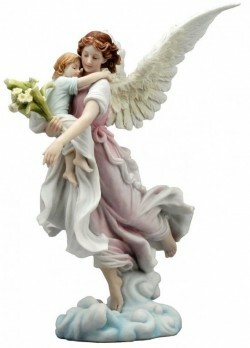 Beautifully detailed Angel carrying child figurine. From the popular Nemesis Now range of figurines. The leading brand in fantasy and gothic giftware.